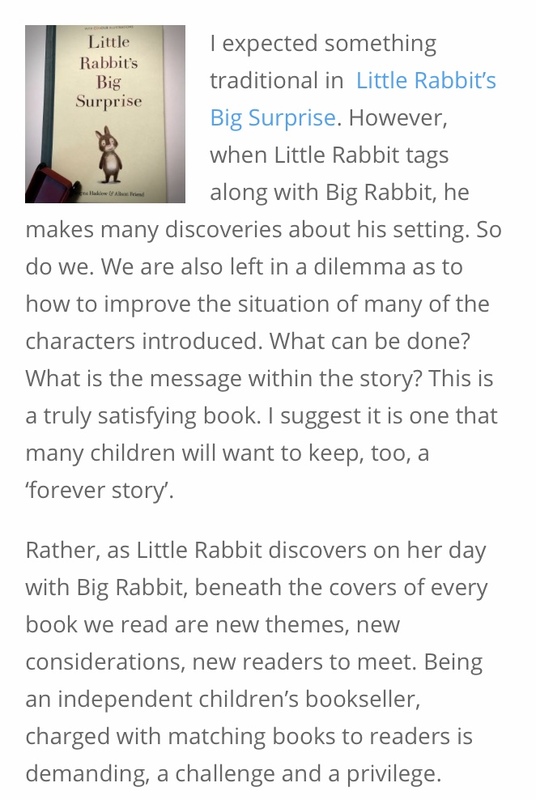 Now that Little Rabbit’s Big Surprise is officially out in the world, the reviews are coming in and Little Rabbit appears to be going down a treat with readers. And we also have wonderful reviews from North Somerset Teachers’ Book Award, The Lancashire Post, Story Snug and Red Reading Hub. Thank you so much to everyone who has read and reviewed Little Rabbit’s Big Surprise. I’m so pleased to hear you’ve enjoyed her story.